Thanks for the tip! I am clicking over to check it out right now! I am sure his house is as beautiful as his photos. thanks for the heads up! love the paper wall hangings too! 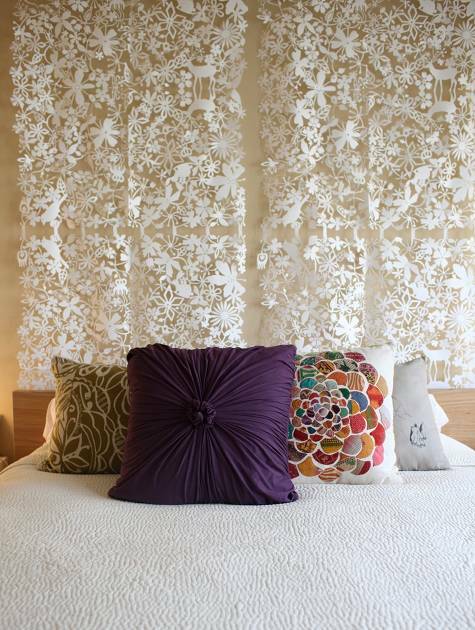 oooh those are tord boontje curtains! jamie (a desert fete) and ben got married in front of one. I love them! man that front pillow is calling my name! Love the paper wall hanging - do you know where this is from? Anything from Max Wanger is just awesome! !